Posted in Relationships & Building Support Networks on July 1, 2013. Last modified on March 28, 2019. Read disclaimer. Children can benefit from youth networks and support groups. Most communities have organizations, clubs and groups that sponsor activities for children and families. Groups like 4-H, Big Brother and Big Sister, Boy Scouts and Girl Scouts, and after-school enrichment programs provide opportunities and experiences for children to meet other children, develop lifelong skills and have fun. MassachusettsHealth.com is a participant in the Amazon Services LLC Associates Program, an affiliate advertising program designed to provide a means for sites to earn advertising fees by advertising and linking to amazon.com. Local churches, synagogues, YMCA, YWCA, sports organizations and community centers provide supportive activities for children, too. School consumes a large portion of your child's day. Therefore it is important that you get involved with your child's school as much as possible. This includes attending PTA/PTO, teacher-parents conferences and special activities. When you can't attend, you may wish to send someone in your place. You need to let the teachers know that you are interested in your child's progress. Stay in touch with your children's networks. When you need help beyond what family and friends can provide, remember that trained professionals are there to help. You may want to contact your local social service or human resource department. Services most often include AFDC (Aid to Families with Dependent Children), homemaker services, day care, rent subsidy and energy assistance, medical assistance and food stamps. These services often are based on income and size of household. Family Services provides family counseling. Family therapists and other support groups set up to deal with specific problems are available in most communities. Consumer credit counseling provides help with budgeting and credit management. Legal aid offices, legal clinics and lawyer referral services may be useful for legal problems. The Office of Child Support Enforcement (OCSE) provides assistance in collecting child support. Routine check-ups and immunizations are available through your local health department or health clinics, usually for less than you would have to pay if you went to the doctor's office. If you'd like some career counseling, try your local community college, university, Employment Security Commission and women's groups. Libraries also offer a wealth of information, and the librarian is there to help you find what you need. 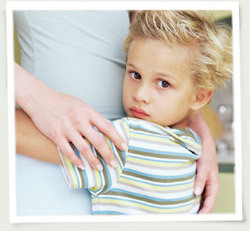 If your child has behavioral or emotional problems, seek professional help immediately. A conference with a teacher may suffice if the problem is school-related. Your minister, priest or rabbi may also be helpful. Therapists at your local mental health agency will work with you and your child on family concerns. Single parents can opt to join a support group or to participate in activities sponsored by groups. Parent education classes, social activities, church-related activities and referrals may be offered through groups in your area. Parents Without Partners, perhaps the largest support group, has chapters in many communities. It usually sponsors family activities, group discussions about the problems of single parents, lectures and educational sessions. If there is an active chapter in your community, you can be sure that you will be welcomed. Custody of children is not a requirement for membership. Parents Anonymous is another well-attended group. People who don't feel ready for a group or who don't like groups may want to check into peer counseling in their area. Peer counseling offers one-to-one contact. A group or network can be a valuable way for you to meet people, to ease loneliness and to grow as a person. If you don't have your own support system in place, you will probably benefit just knowing of their existence. Learn about local resources that are there to help you and your children so that you can call on them should you need them. Participate in PTA and other school functions and activities. Join a singles group, such as Parents Without Partners. Participate in community activities and meet your neighbors. Take classes and attend seminars and lectures. Work on a joint project with another adult or child. Form or join a cooperative parent group. Use bartering; exchange child care services. Become a volunteer for one of your child's activities or clubs. Build family bonds; spend time together in activities and routines that promote togetherness. Identify local resources and use them effectively when needed. Use networks to maintain balance and stability in your life; control time and energy spent with social networks to keep your independence. Are You a Single Parent? (1987) Washington, D.C., Parents Without Partners, Inc.
Atlas, Stephen L. (1981) Single Parenting: A Practical Resource Guide. Englewood Cliffs, N.J., Prentice-Hall, Inc.
DeFrain, John. (1987) On Our Own: A Single Parents' Survival Guide. Lexington, Mass. : D.C. Health and Company. Kids! They're Worth Every Penny: Handbook on Child Support Enforcement. U.S. Department of Health and Human Services, Office of Child Support, Enforcement, Rockville, Md. Wolf, Karin and Yevonne Brannon (1981) North Carolina Sourcebook for Single Parents. Raleigh, N.C., Center for Urban Affairs and Community Service, NCSU. Comment at Tips for talking with your doctor from Emili: "I believe that, if a woman is unhappy with the medical..."
Comment at Reasons for eating more onions and garlic from Jay: "I read recently that drinking a glass of milk with your garlicky..."